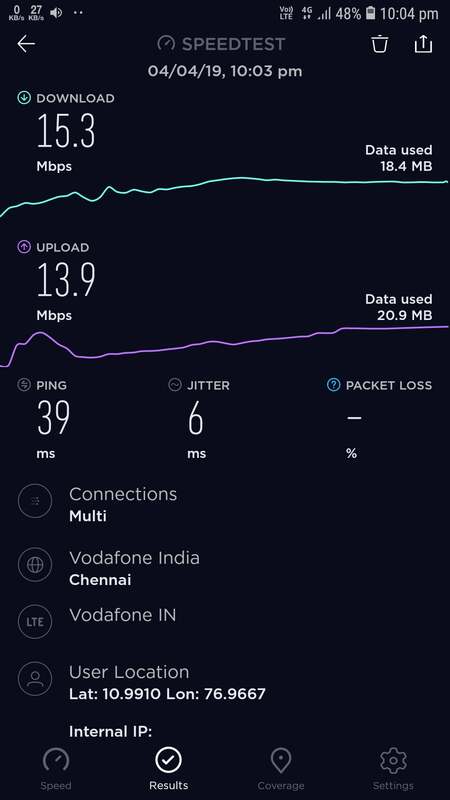 Vodafone Idea has expressed concern on the fact that the 50% combined holding limit on the sub-1 GHz spectrum which is likely to be used for 5G can lead to a duopoly in the telecom sector. 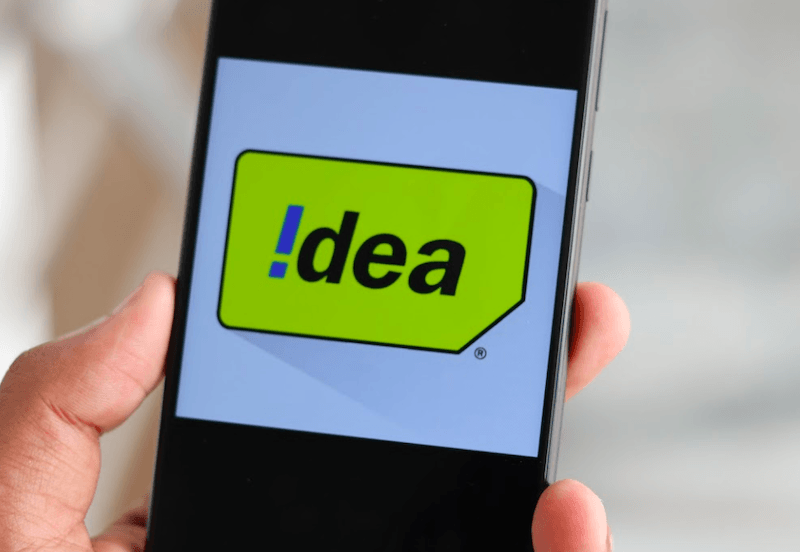 According to Vodafone Idea’s claim, the duopoly will undermine the healthy competition in the industry which is on its way back from the trenches. 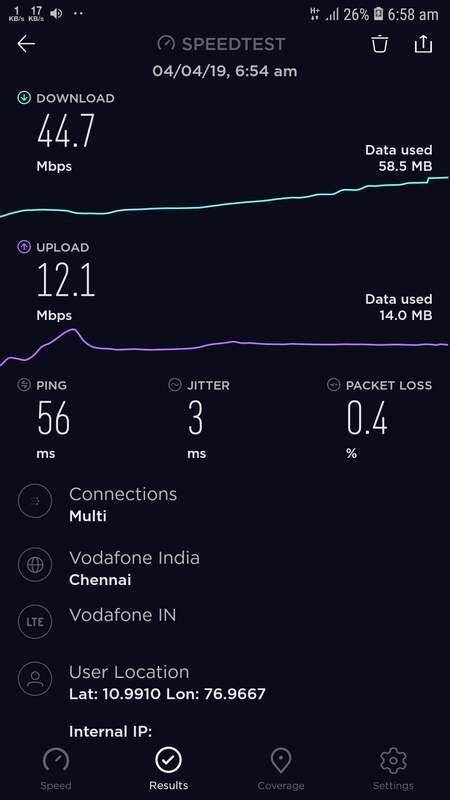 It is also worth noting that currently, Vodafone Idea is the only one who has called out for change in the rules of capping the spectrum holding. All the other telecom operators, however, have urged the authorities to bring down the 5G spectrum base prices from what has been recommended by the regulator. To recall, the government had introduced norms last year which increased the individual spectrum holding by each operator to 35% up from the previous limit of 25% and had capped the combined spectrum holding to 50%. The bands which were capped included the 700 MHz, 800 MHz, and 900 MHz. Out of these three, the first two are the ones expected to be used for fifth-generation network technology. An industry official spoke behind anonymity saying that from a long-term perspective, 5G is gold-dust. He added, “You need to have an adequate choice for consumers and enterprises…Therefore, 35% cap should be enforced for all the bands including the sub-GHz bands… This is the easiest way to ensure that there’s no monopoly or duopoly in 5G.” He also said that with the new cap, there would be enough incentives for price discovery through auction. The telcos will also be able to boast of sufficient capacity with the new higher spectrum holding limits. The request for a flip in cap rules comes from Vodafone Idea partly because it is also the telco which is under much more financial pressure as compared to the other private telecom operators. Post the data tariff war; the companies are suffering from dented revenues except for Reliance Jio, which is the only telco registering profits. Vodafone Idea executive, Balaji also said that 2020 would be the right year for 5G spectrum auction as the industry will be more mature by the time with more business and use cases. 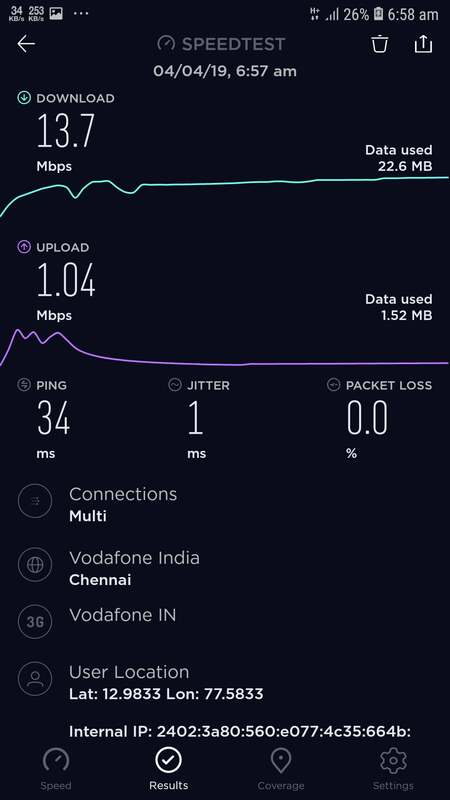 Yes sure, taking speed test early in the morning will not tell you true story. See mine with just 10mhz of band 3. It is all about consistency. What do you say now?. Late night?. Lol. 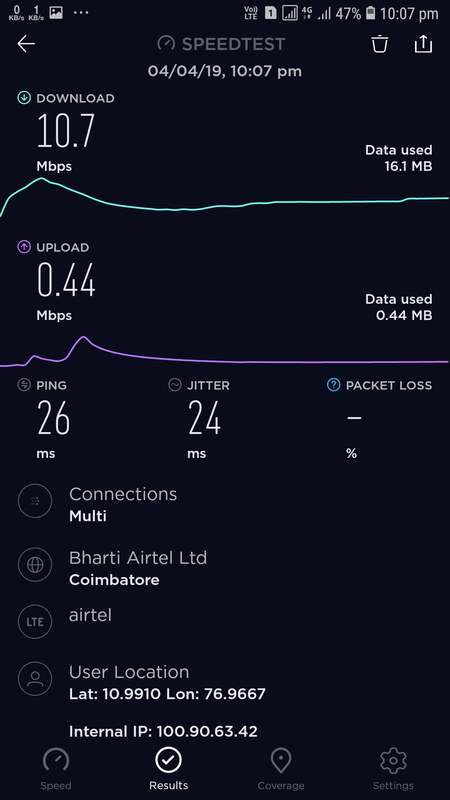 2nd picture : airtel fastest 4G speed !!! Off topic – as per press report – BSNL to lay off over 54000 of its employees after elections. Total staff numbers are over 174000. Government had formed a three member committee for BSNL revival. There are no intentions of closure or sale. 1) reduce retirement age of BSNL employees from 60 to 58. 2) compulsory voluntary retirement for all BSNL junior staff aged over 50. 3) immediate allocation of 4g waves pan India & roll out. Other suggestions/findings to be implemented latter. This was expected . 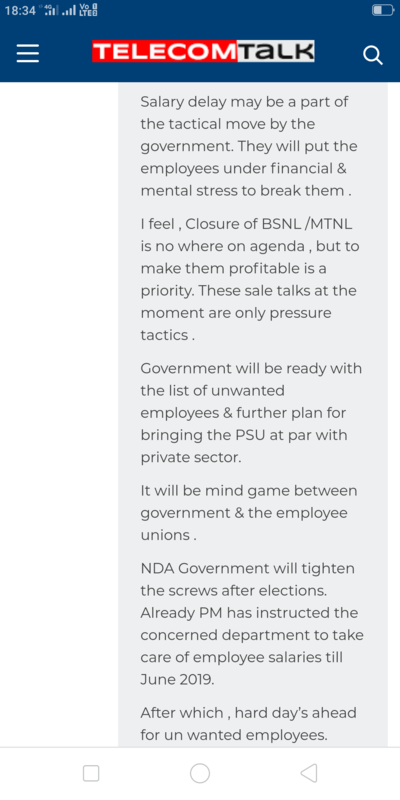 Had the gut feeling that NDA will take up BSNL revival as a challenge after elections. Had mentioned the same few weeks back . I am very sure of BSNL good days ahead. Network will get the required boost & should gain market & revenues share in the near future.